Malaysia is an incredible country in Southeast Asia to add to your wish list. Its largest city is Kuala Lumpur on the Malay Peninsula. 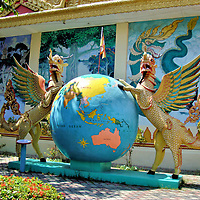 George Town, located on Penang Island, is the second largest. They are separated by the Strait of Malacca. These travel guides highlight the places to see in these very different yet equally exciting cities. Kuala Lumpur is Malaysia’s largest and capital city. There are countless reasons why KL is among the top ten most visited cities in the world. Among them are gorgeous Indo-Saracenic architecture built by the British during the colonial era. The world’s tallest twin skyscraper. Shopping options ranging from crowded street markets to enormous modern malls. And an endless selection of food served from rickety stalls or on white table linen. 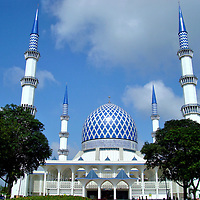 You can also tour the iconic Blue Mosque in nearby Shah Alam.